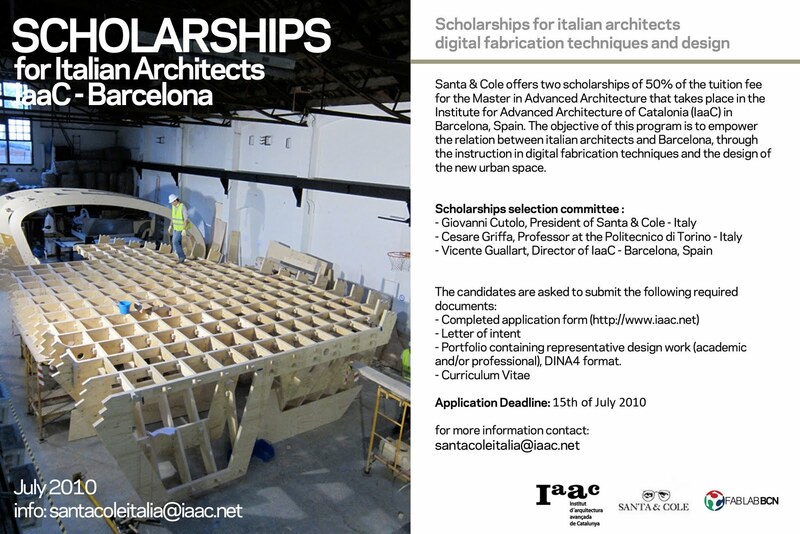 Santa & Cole offers two scholarships of 50% of the tuition fee for the Master in Advanced Architecture that takes place in the Institute for Advanced Architecture of Catalonia (IaaC) in Barcelona, Spain. The objective of this program is to empower the relation between italian architects and Barcelona, through the instruction in digital fabrication techniques and the design of the new urban space. – Portfolio containing representative design work (academic and/or professional) DINA4 format.